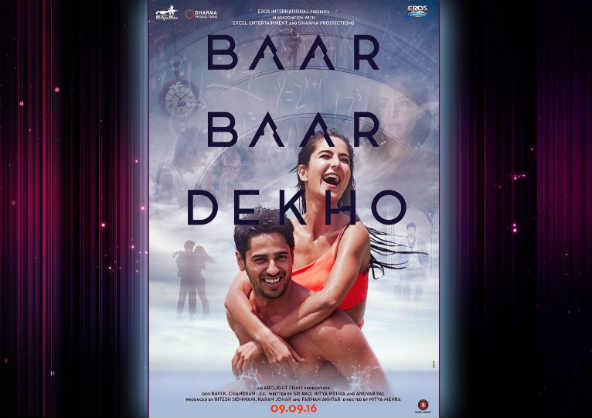 Baar Baar Dekho – the film marks the directorial debut of a great talent Nitya Mehra, an assistant director in the films like the Life of Pi and The Reluctant Fundamentalist. This movie seems to be unique because of three reasons, its debutante director Nitya Mehra, second Siddharth Malhotra & Katrina Kaif paired together and the collaboration of Excel Entertainment with Dharma Productions. So, it is one movie, but three firsts! Baar Baar Dekho is a story about how the present generation prioritizes career and materialistic goals over family and loved ones. The trailer looks promising since the movie portrays the present and past of the lead actors' romantic life analytically. Even though the trailer or the groovy Kaala Chashma have showcased superb chemistry between the two actors, can we expect something more from the film than just love, breakups & life? Will it be able to achieve commercial as well as critical success? Ganesha finds out. This Movie will be released with Libra Ascendant. Ascendant Lord Venus will be in the 12th house with Jupiter and retrograde, but with exalted Mercury. Sun and Rahu will be in the 11th house of gains. Moon will be in Vish Yoga due to its placement of Saturn. However, Moon and Mars conjunction creates Laxmi Yoga too. Ketu will be placed in the 5th house of performance. In view of the planetary configurations mentioned above, Ganesha feels that the film may have a good opening at the Box Office, but it may not enjoy a rousing response. Things may start getting better from Day 3 and another major pick-up phase is foreseen from the 2nd weekend. Good chemistry, but spark in the acting department missing? Ganesha feels that the movie may indeed score well in areas like – glamour quotient, chemistry between the lead actors and the overall look and feel, but when it comes to the core performances, especially of the lead pair, it may lack the charm, especially because Venus is afflicted and a malefic like Ketu is occupying the 5th House. Also Read: Katrina Kaif: Find out why she was out of action for quite sometime and whether she'll bounce back! Though the movie may lack the punch in the dialogues section, some scenes, especially the emotional ones, may have a good connect. Some good wit and humour in the film can be expected to tickle your funny bone. Word of Mouth – the old marketing trick to work in this movie's favour too? Yes. Ganesha feels that owing to some planetary configurations in the Release Time Chart of the film, the publicity through the word of mouth will help strengthen the movie's fortunes and may bring more people to the theaters. Locations and Cinematography – the big highlights! The movie's visual appeal may be highly appreciated and the cinematography is likely to get a big thumbs up! Due to the Chandra-Mangal Mahalakshmi Rajayoga getting created in the 2nd House, the film's collections will be quite handsome. But, owing to the affliction of the Lord of the 11th House by Rahu, the gains or collections trend of the movie may be quite fluctuating. On the international platform, the film is likely to do great business, and the producers are going to be quite elated about this aspect. 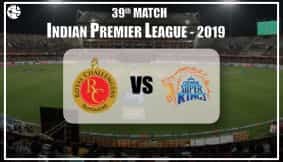 But, Ganesha feels that the income or earning channels may not be uniform, and only some pockets may be the high-gains sectors for the film. The film may not necessarily have some brand new elements to offer, and may instead ride high on the lead pair's overall appeal. The performances of the supporting cast may be good. The music will enjoy a good connect. But, the film may lack the power of a good storyline, which may dent the overall prospects. So, Ganesha says that this may be a good one-time watch, but surely not a blockbuster. Ganesha wishes great success for the film! Are you on the lookout for the right partner? Then, our personalised report - Attract Love will help you to explore your romance stars and understand your love personality, thereby increasing the chances of attracting love. Order the report now!